A wave of seafood just hit our menu. You're Going To Need Bigger Jaws. Forget about needing a bigger boat. What you'll really need is a great white shark-sized appetite. Now through April 21, Shoney's is offering six different types of freshly prepared seafood options, all made with our signature quality. Tender pieces of lobster, sautéed spinach and artichokes in a creamy three-cheese sauce. A dozen large shrimp, hand-breaded in our homemade bread crumbs. 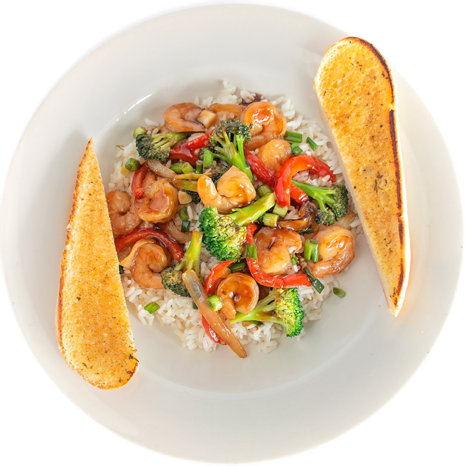 Tender shrimp stir-fried with broccoli, onions, red peppers and teriyaki sauce over rice. 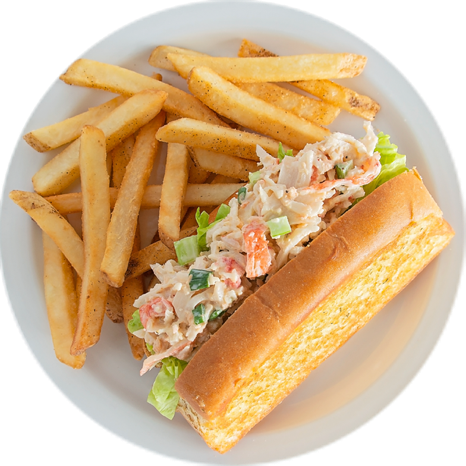 Made with cold water North American Atlantic lobster, topped with fresh lettuce on a sandwich roll and served with French fries. Codfish filet, hand-breaded in our homemade bread crumbs, on a toasted hoagie with lettuce and tartar sauce. Southern charm at its best, our classic Pecan Pie is smothered with pecans and topped with a rich caramel drizzle. Available by the slice or whole. It's a Fish Friday Frenzy! 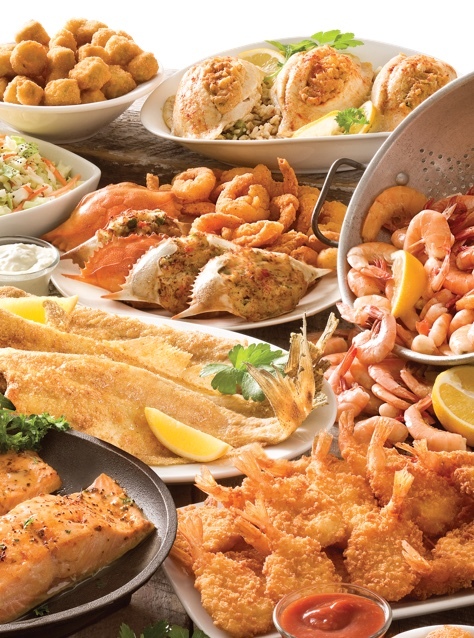 Drop anchor at our endless Seafood Fresh Food Bar for special, freshly prepared seafood, including Coconut Shrimp, Lobster Mac & Cheese, Creamy Seafood Bake, New Orleans-Style BBQ Shrimp, Stuffed Sole, Baked Whole Catfish With Onions, Peppers & Tomatoes and more!